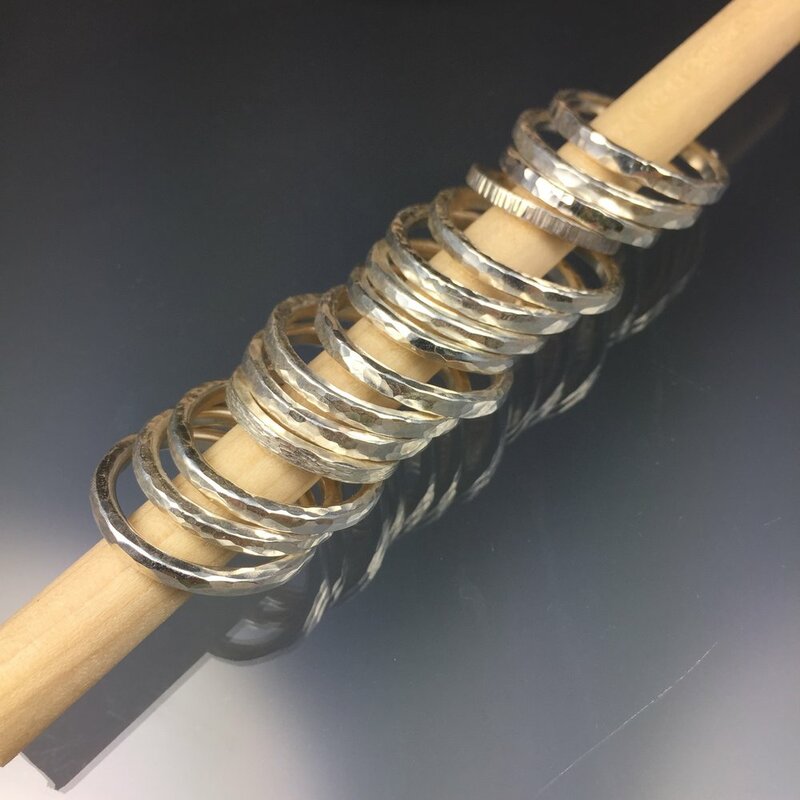 In this one day workshop we will make sterling silver stacking rings and spinner rings! I will teach you soldering and texturing techniques, which include using a rolling mill and stamps to create your own unique rings. This 1 day workshop is $200. Silver and gold filled wire are not included. Everything else you will need is. You can purchase the silver and gold filled wire from me. I don't mark up these prices, you get the material at the same price I paid for it. Lunch, drinks and snacks are included.